This kids bean bag chair is made from our Smartmax fabric: tough, stain resistant, easily cleaned with a damp cloth, and waterproof. Bean bags are filled with our Megahh Beans, and are refillable. Megahh (UltimaX) Bean Refills sold separately. 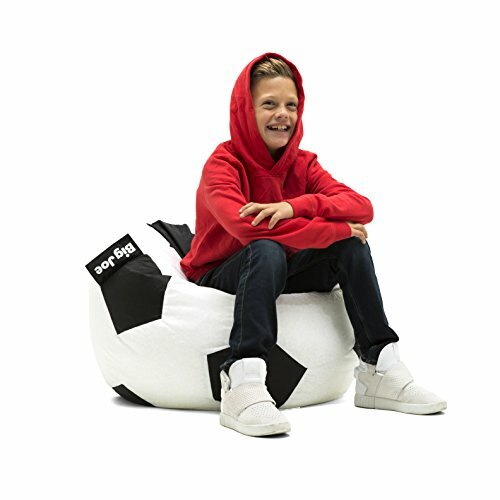 These re-fillable beanbags are double stitched and have 2, safety locking zippers for added strength and child safety. All our chairs are designed and filled in the USA in a Zero Landfill Certified Facility. Big Joe donates 10% of all profits to helping those in need.